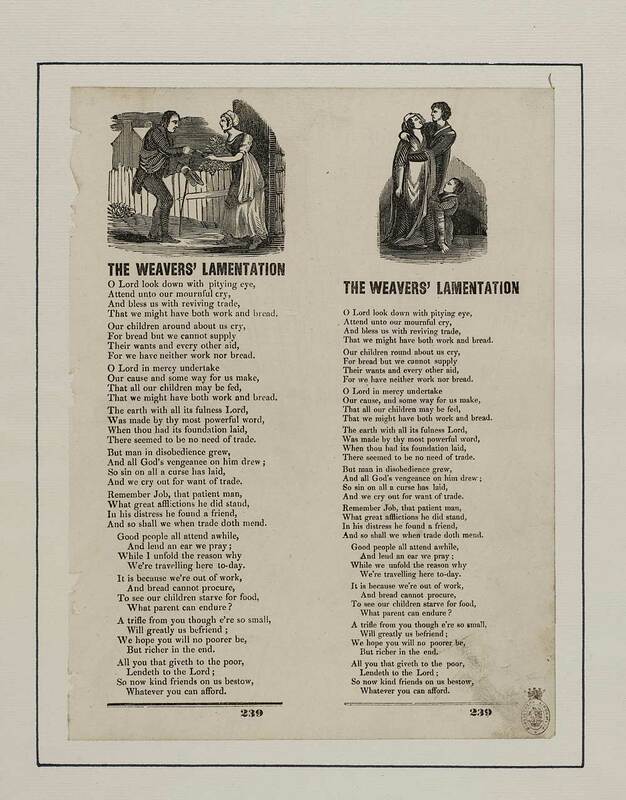 Two ballads both entitled 'The weaver’s lamentation’. The text is identical but the layout and illustrations are different, presumably intended to be cut and sold separately. First line reads: O Lord look down with pitying eye. In two columns with an illustration above each. '239' is printed beneath each column.